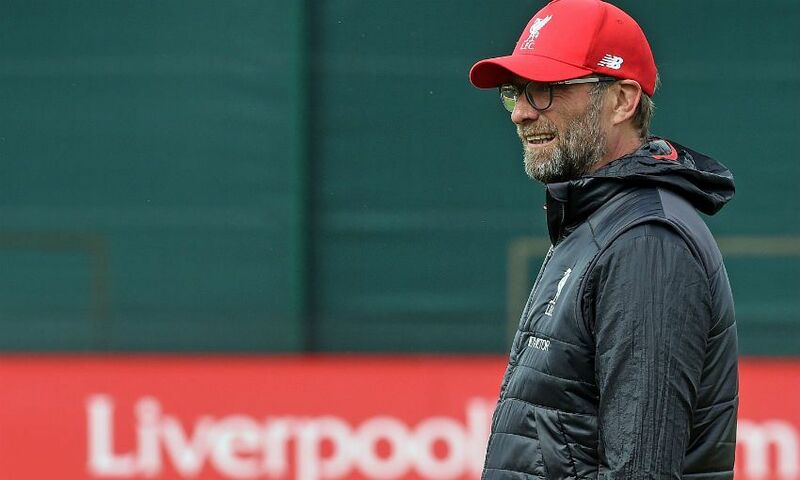 Jürgen Klopp is confident that he has enough options at his disposal both tactically and in terms of personnel to cope with the absence of Sadio Mane. Mane is out of Wednesday night’s game against Bournemouth as Liverpool wait to discover the full extent of the knee injury he sustained during the second half of Saturday’s 3-1 Merseyside derby victory over Everton. The forward, of course, missed seven of his club’s games during their packed January schedule due to Senegal’s participation in the Africa Cup of Nations - with the Reds winning just once during that spell. And Klopp was asked at Melwood this afternoon whether Liverpool are better equipped to manage without their No.19 this time around. “The big problem was in January, and I’ve said it a few times, that it was not only Sadio missing,” the boss told reporters. “Of course, everybody would miss Sadio - Southampton still miss Sadio probably, Red Bull Salzburg miss him, so we have nice company! “But it was such a hard moment in January. We had these games, we had the derby, then we played Stoke, then we had City, then we played Sunderland, then we played the semi-finals. “It was not the freshest moment of the season, I would say, and then missing Sadio in the shape he was in, plus missing Phil [Coutinho] and all that stuff - it was not perfect but that’s how it is. “Like I said, it’s not about thinking ‘how can we play perfect football?’ now. We go for results. “The first thing I think about is ‘how can we defend Bournemouth?’, not ‘how can we create 27 chances?’, because I know we can - maybe not 27 - but we can and will create chances if we are really strong and good organised, perfectly organised in defence. “If Bournemouth cannot get confidence in the game, and everybody who saw the second half of the Southampton game - it’s outstanding how good they are playing football, they looked really, really good. “So we don’t think about what we miss, we only think about what we can do to win this football game. As a manager, I can’t really remember the last time I had all players available and decisions to make were so difficult that I thought ‘oh my God, I’m leaving five players at home and really good players on the bench’ because that’s really rare. “So, the only job to do is to play the best you are able to and not think about who you miss and all that stuff. “We have the possibility to change system. We have one session today to do this, [but it’s] still possible, absolutely. I’m not sure we can have a similar line-up to the last game, but we have different options, we can bring in young boys, experience up front, on the wing, Millie [James Milner] could play a wing position offensively. Klopp turned to Divock Origi when deciding who to bring on in Mane’s place against Everton, and was rewarded handsomely when the Belgian striker netted his side’s third goal within three minutes of being introduced. Origi insisted afterwards that he feels fit and ‘ready to be an important player for the team’ - comments that have pleased his manager. “That’s good, I’m happy to hear this! Of course it’s good to have Divock,” Klopp said. “The season is long and you need all the players in the squad and sometimes players in good shape cannot be in the first line-up because more than 10 others fit maybe better [against] the next opponent or something. “Yes, it’s good to have him [and he’s a] very, very important option for us now. Like I said, Daniel [Sturridge] is back now - I said it yesterday when we were together before training, that it’s actually a perfect moment coming back to team training. So there’s a lot of good news also.